New York: Harper & Brothers, 1943. 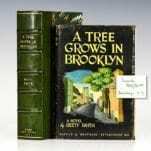 First edition of Smith’s classic first novel. Octavo, original green cloth. 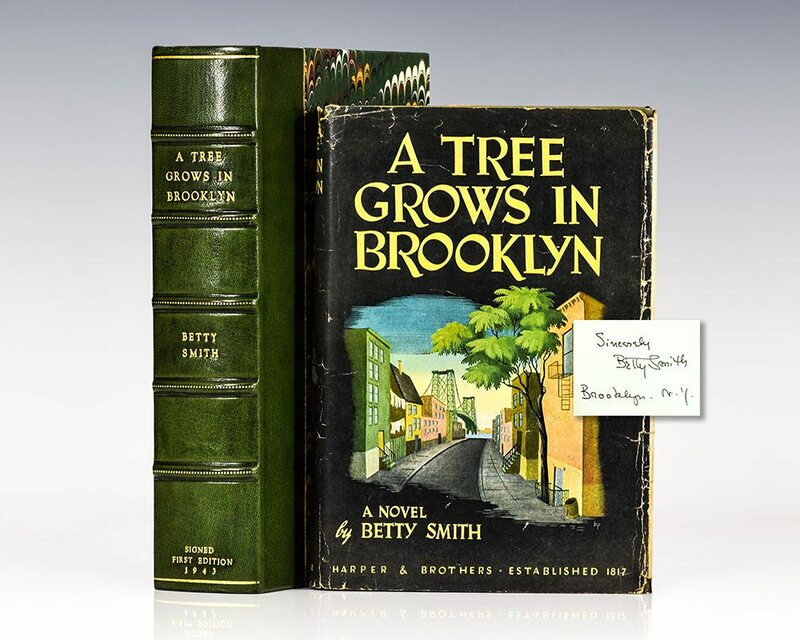 Signed by the author on the front free endpaper, “Sincerely, Betty Smith Brooklyn, N.Y.” Light rubbing and wear, an excellent example in a near fine first issue dust jacket with light rubbing and wear to the spine and extremities. Housed in a custom half morocco clamshell box. A very nice example of a novel rarely encountered signed. 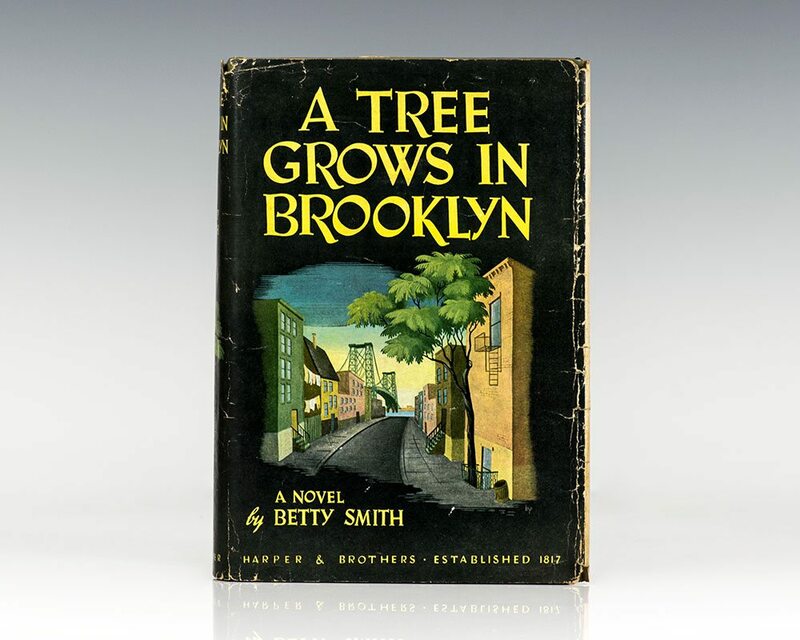 "Forty years before Holden Caulfield abandoned Pencey Prep to begin his ill-fated Manhattan odyssey, Francie Nolan struggled to obtain an education in the teeming tenement neighborhood of Williamsburg, Brooklyn. Francie grows up nurtured by the loving gallantries of her father, a singing waiter who drinks too much, and the rigorous austerities practiced by her brave mother, a janitress who reads to her children each night from the complete plays of Shakespeare and the 'Protestant Bible'. The book was an instant best-seller, with 300,000 copies purchased in the first six weeks. 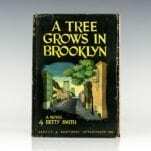 Writing in the Yale review, Orville Prescott praised A Tree Grows in Brooklyn as a 'rich and rare example of regional local color writing, filled to the scuppers with Brooklynese, Brooklyn folk-ways and Brooklyn atmosphere" (New York Public Library Books of the Century, 207). It was the basis for the 1945 film directed by Elia Kazan, starring James Dunn, Dorothy McGuire, Joan Blondell, and Peggy Ann Garner, who won a Special Academy Award for Outstanding Child Actress of 1945. James Dunn won an Academy Award for Best Supporting Actor in the film.